Athira Patel will be next seen as the lead actress in Contessa. “I then proceeded to enact out the scene and placed it on his neck, he then very slowly turns back and tells me in a shaky voice ‘I have one wife and two children.’ I got so shaky after that and wondered what I would do if something did happen to him,” she laughs, adding, “He then realised I got scared and was very supportive after that.” “We would be sitting and laughing right when they are planning the scene. That is how funny it was on the set. Moreover, everyone on the set was extremely helpful,” she says. All this is not new to Athira though. She was earlier part of the hit movie Angamaly Diaries. “I played Vincent Pepe’s sister,” she says. Her stint with acting started off on a more serious note, in the Sanskrit movie called Ishti. “I played Nedumudi Venu sir’s third wife in the movie. It released in 2016.” “My entry into acting happened through a short film I did when I was in class VII. Acting actually started at home, when I did not want to attend class,” she laughs. Athira, who is currently pursuing her first year in hotel management at Wayanad, elaborates about her surname ‘Patel’. “It is not the North Indian ‘Patel’ nor is it based on caste. My father is from Karnataka. My grandfather was the village head there. 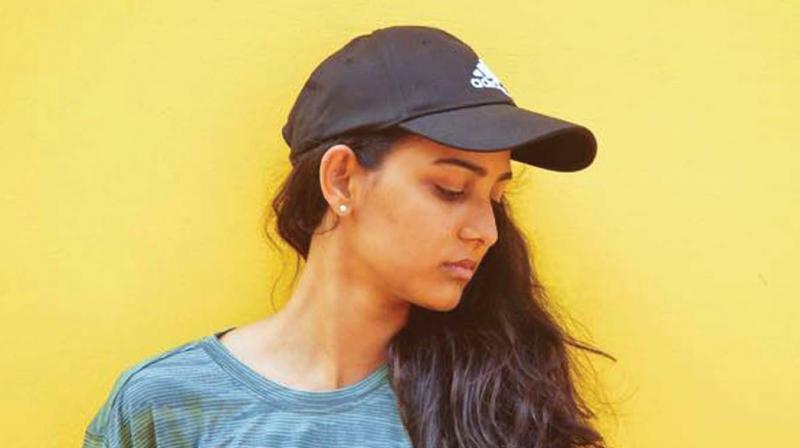 They are called Patelar, hence the surname!” Athira has just completed her latest Malayalam project Contessa, which has Angamaly Diaries fame Appani Sarath in the lead. She says, “I play the female lead in the movie.” “I love cinema and I would be really happy to do more projects. In fact, I am right now trying to figure out how to tackle both my studies and film projects simultaneously,” she smiles.